เควิน: ผมเป็นแฟนตัวยงของดนตรีฮิปฮอป ผมเติบโตในนิวออร์ลีนส์ มันเลยเป็นส่วนหนึ่งในชีวิตผม เริ่มตั้งแต่สมัยมัธยมผมก็เคยอยู่ในวงดนตรีฮิปฮอป พอเรียนจบมหาวิทยาลัยก็ได้งานแรกเป็นการทำมิวสิควิดีโอเพลง Ms. Jackson ให้กับวง Outkast ผมเลยอยากจะนำความรักที่มีต่อดนตรีฮิปฮอปทำเป็น Doodle โดยมีคอนเซ็ปต์เป็นเครื่องเล่นแผ่นเสียงที่เคลื่อนไหวได้ ผมเสนอไอเดียนี้ให้กับไรอัน (ซึ่งเป็นแฟนดนตรีฮิปฮอปเหมือนกัน) และเขาชอบมันมาก เขาบอกผมว่า "มาเริ่มทำกันพรุ่งนี้เลย!" Doodle นี้เป็นการแสดงความเคารพต่อผู้บุกเบิกดนตรีฮิปฮอปในช่วงแรกๆ คุณมีวิธีเลือกบุคคลสำคัญสำหรับ Doodle นี้อย่างไร? Doodle นี้แตกต่างจาก Doodle อื่นๆ อย่างไร? เพอร์ลา: เราไม่เคยทำ Doodle แบบนี้มาก่อน เนื่องด้วยความท้าทายทางด้านเทคนิค และต้องอาศัยความร่วมมือจากหลายๆ ฝ่าย โปรเจ็กต์นี้เป็นอะไรที่ตื่นเต้นและท้าทายมาก เนื่องจากมีคนจำนวนมากที่มีส่วนเกี่ยวข้องกับดนตรีฮิปฮอป ไม่ทางใดก็ทางหนึ่ง ดังนั้นเราจะทำมันให้ออกมาดีที่สุดได้อย่างไร? เซย์ จากประสบการณ์การทำงานในสื่อต่างๆ มาหลายสิบปี คุณรู้สึกอย่างไรกับการได้ร่วมออกแบบหน้าโฮมเพจของ Google? คุณหวังว่าผู้ใช้งาน Google จะได้รับอะไรจาก Doodle นี้? 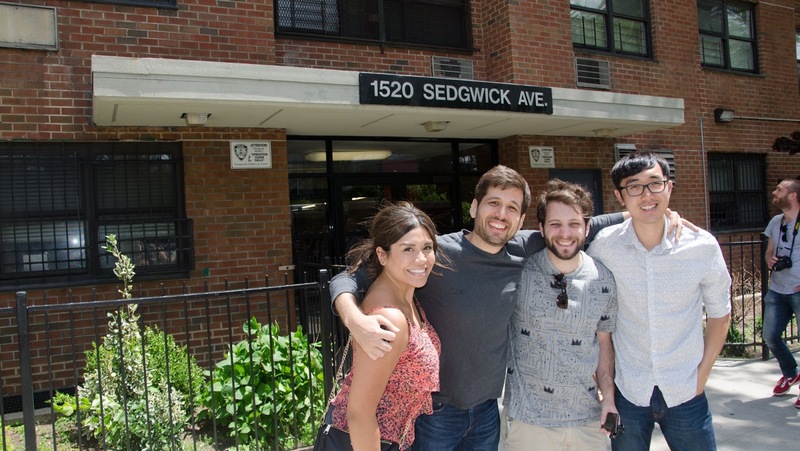 On August 11, 1973, there was a party at 1520 Sedgwick Avenue in the Bronx and four decades later, we’re still talking about it. Today’s Google Doodle celebrates the 44th anniversary of that party, which is widely credited as the birth of the hip hop movement. To learn more about the Doodle and the movement that inspired it, the Keyword team chatted with three of the Googlers behind the Doodle—Kevin Burke, Ryan Germick and Perla Campos. We also talked with two legendary hip hop pioneers who served as close partners in the project: Fab 5 Freddy, former host of “Yo! MTV Raps” and narrator of the Doodle, and Cey Adams, visual artist and founding creative director of Def Jam records, who designed the Doodle logo image that you see on the homepage today. Here’s what they had to say. How did you come up with the idea for this Doodle? Ok, so people were into the idea, but Hip Hop is such a big topic. How did you decide what to focus on? Perla: From the beginning, we were thinking big. I mean, Hip Hop touches so many parts of culture but a lot of people don’t know much about its origins. 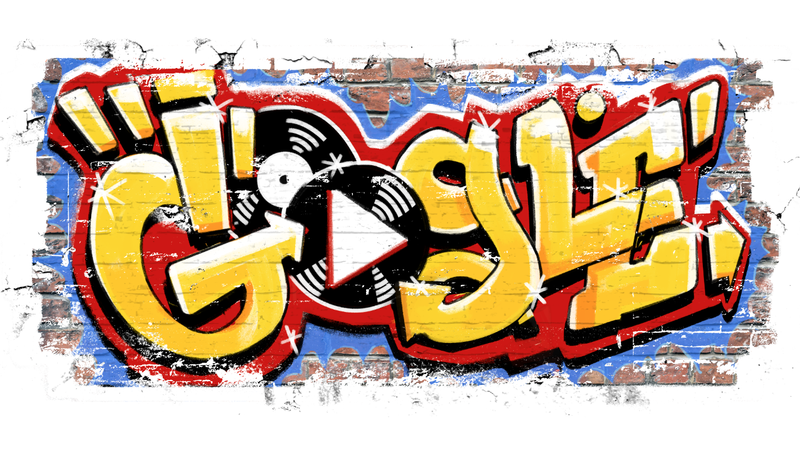 So, we anchored the Doodle to the birth of Hip Hop, and wanted to celebrate the people who pioneered the movement. We hope to give them the voice and the recognition they deserve, which is what Doodles are all about—shining light on times of history that maybe you didn’t know about. Kevin: It all started with DJ Kool Herc, an 18-year old Jamaican DJ from the Bronx. He threw a party in August 1973, and when he DJ’d the party, he extended the break in the music where people “did their crazy dance” (that’s actually how “break” dancing got its name!). And the Hip Hop movement was born. Ryan: With each Doodle, we try to touch a different part of the human experience. But we hadn’t yet touched on a massive part of U.S. and global culture—Hip Hop. And by bringing in elements like “Achievements,” we can also make it about the real people behind the Hip Hop movement. Speaking of the real people … Fab and Cey, how did you feel when you first heard about this project? Fab: It was a full circle experience for me. I first went online in 1994—I even remember doing a segment on “Yo! 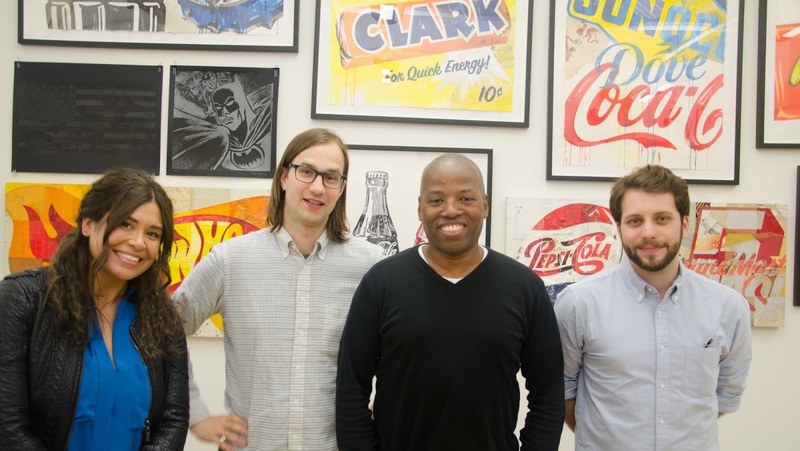 MTV Raps” about email. And going back to when I first got on the internet, I was looking for people who were of a like mind who were part of the culture. And now, to see Hip Hop on one of the biggest digital platforms out there, in a way that acknowledges and recognizes what this culture is, what it could be. It’s pretty amazing. Cey: Everybody on this project was so excited to be a part of it, which made me excited too. I could add an authentic point of view and represent all the people who helped start the movement, even the ones who are no longer here. The project is rooted in honoring the past. 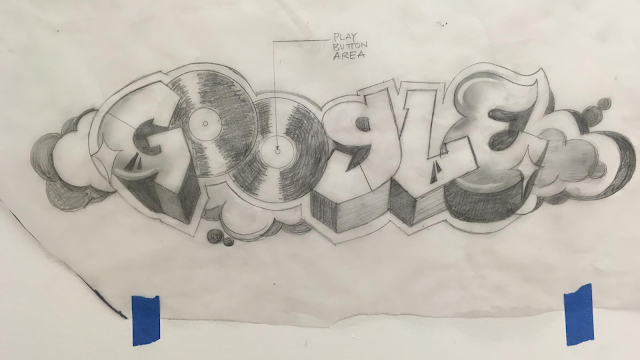 The Doodle pays homage to many early pioneers of Hip Hop. How did you decide who to include? Perla: We started with a big list of people and narrowed it down based on a ton of research and conversations with close partners versed in all things Hip Hop—like Lyor Cohen, current head of YouTube music and a legend in the music industry who has signed some of the greatest Hip Hop artists ever. We also wanted to make sure we represented the diversity in Hip Hop and feature the women who were a huge part of the early days but often aren’t talked about. 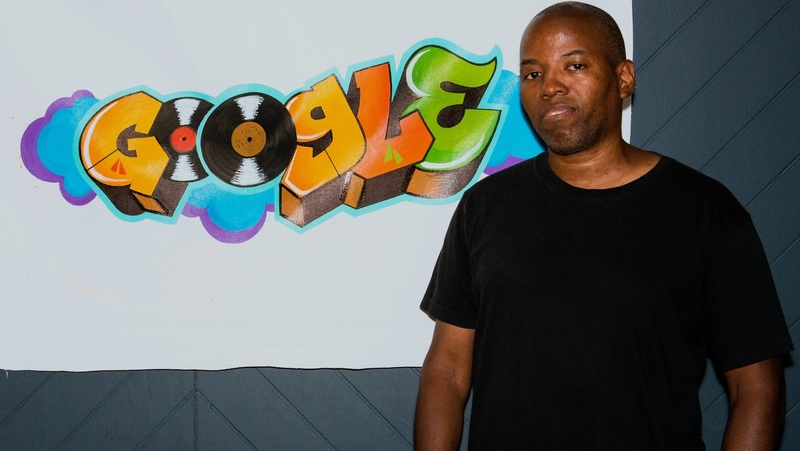 Kevin: Part of the Doodle is a “record crate” that has legendary samples you can listen to. You’ve probably heard these samples in a Jay-Z song but you don’t know who actually created them. Perla and I were in tears one day because we added a bunch of fresh beats from our childhood—the beats behind Puff Daddy, Tupac and Notorious B.I.G. songs, the backbone of all the songs we loved. We were totally going down memory lane. How does this compare to other Doodles? Perla: We’ve never done a Doodle like this before, both because of the technical challenges and the many voices and collaborators we wanted to include. It was both unnerving and exciting to tackle this because so many people have been touched by Hip Hop in some way—so how do you do it justice? 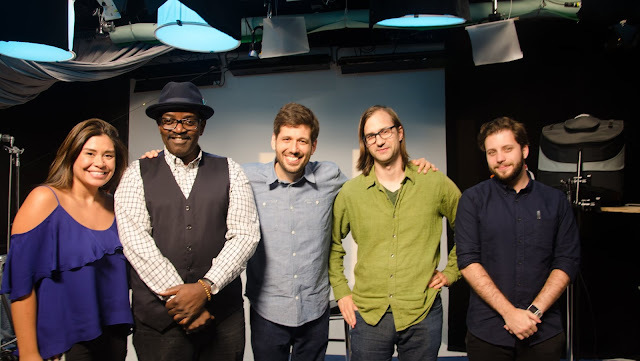 Ryan: There’s a lot that went into figuring out what bit rate of audio you needed to scratch records, how to sync up the beats correctly, and the complexities around animations were firsts for us. We’re always trying to one-up ourselves, to exceed the expectations of people who love our Doodles. This one represented all the things Doodles are good at: storytelling, interactivity and education. How did you get into Hip Hop? What’s your earliest memory of Hip Hop? Kevin: I got a lot of exposure to Hip Hop growing up in Louisiana. I was this artist kid in a suburban conservative area—I identified with the angst and energy of Hip Hop. I’m also a music trivia nerd—when I was a kid, my dad would quiz me whenever a song came on the radio. 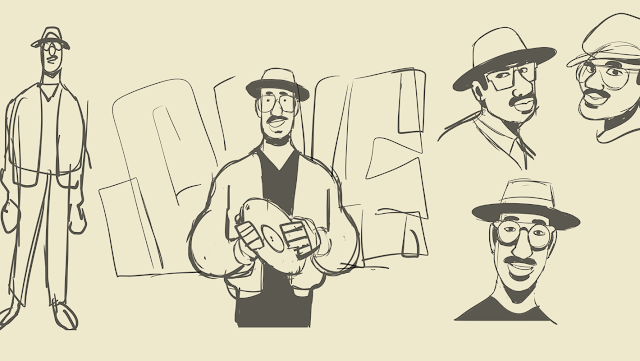 Music trivia has been my greatest offering to this Doodle. Ryan: Hip Hop was part of the fabric of my upbringing. I grew up in suburban Indiana—in an environment pretty different from the Bronx where Hip Hop was born—but as soon as we got cable, I started watching “Yo! MTV Raps.” One of the coolest things about working on this Doodle was that I got to meet people like Fab 5 Freddy and Prince Paul, which I was super excited about because he worked with De La Soul, who made one of my favorite albums of all time. Cey: One of my earliest memories is when I went to the Jamaica Armory to see Grandmaster Flash and the Furious Five. I realized that Hip Hop belonged to us—it was music for myself and my friends, something that nobody could take away from us. Fab: The guys who wanted to be DJs and rappers had this sense of wonder and energy about them. They were like engineers in the way they worked with their sound systems—the cables, the speakers, the amps. Those DJs were a bunch of smart cats figuring out something that was advanced during that time. I felt comfortable around them during a time when there was rough stuff going on in the streets. How do you view the evolution of Hip Hop over the last 44 years? Where is it going? Fab: The essence of Hip Hop culture at its base is an algorithm—it can be done in any language out there. From the very beginnings in the 70s, this culture was generated by those who had very little, and took those bare essentials to say: “I’m here, I matter.” And that has reverberated continuously for decades. So I don’t like to think of old school vs new school, I’m a “now school” person. Hip Hop marches on—it will always reinvent itself. Cey, you’ve worked as an artist for decades, across a huge variety of mediums. What was it like to design something for the Google homepage? Cey: Graffiti has always been associated with vandalism to some degree—in the early days, I had to tell people that what I was doing was different from people that were just tagging. But we’re capital “A” artists. All we’re doing is using a spray can instead of a paintbrush. And now Google is putting this piece of art on the homepage, which will be seen by people all over the world. That’s really exciting to me. What do you hope the audience gets from this Doodle? Perla: My biggest aspiration for the Doodle is that people see themselves in it, that there’s something that speaks to and represents them on the Google homepage. Hip Hop originated as a way for young people to focus on something positive in the midst of the negative forces around them, so I want people to feel that same hope and positivity from this Doodle. Ryan: I hope people can cut through some of the negative stereotypes associated with Hip Hop —it’s not without its shortcomings but it’s such an important part of our culture. 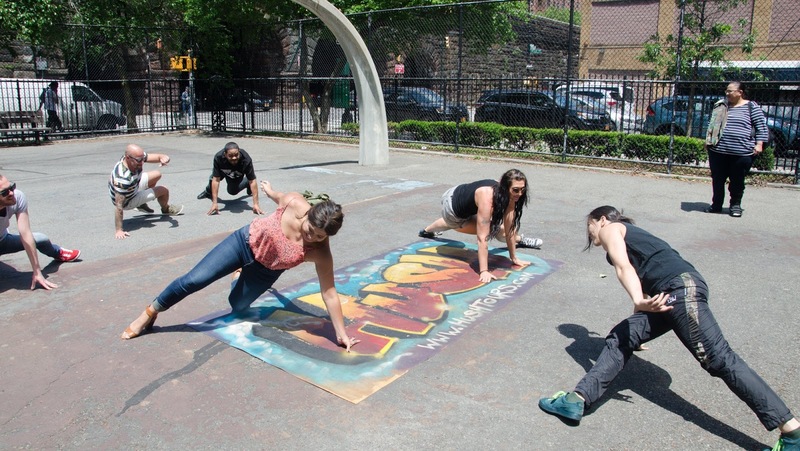 The Bronx was not an easy place to grow up in the 70’s, but such a vibrant culture was born out of it. Cey: I want people to get a Hip Hop education. I want them to understand that the music, the art, the dance, the fashion, it’s all part of a collective lifestyle of people who wanted to change their circumstances. And it will always be there—and will continue to spread around the world—because there’s always some young person who wants to change their circumstances. Fab: For those who have have grown up with this, they’re gonna be amazed to see such a huge part of their lives acknowledged. I want people to see that Hip Hop affects everybody, not just youth culture. It continues to be important, relevant and alive. And it’s happening in every corner of the globe. Kevin: I love that we’re celebrating a party—people dancing and performing, there’s something really positive about that. Google Doodle bergabung. Merayakan hari jadi ke-44 pesta Yang secara luas dianggap sebagai asal mula musik hip hop Untuk mempelajari lebih lanjut tentang Doodle yang merayakan ulang tahun ke-44 musik hip hop Dan inspirasi untuk desain doodle khusus ini.